With Enlightenment e18 now in alpha its time to look at packaging it for factory so i’m going to outline our grand plans so that you can be aware of what is going on and help us with testing, while alpha packages are now out initially we aren’t packaging them formally, we already have regular builds of the latest source code in the X11:Enlightenment:Nightly repo. I will aim to rebuild these packages soon after each alpha/beta release and atleast once a week, i will also rebuild them if i see a beneficial group of fixes come in and the load on obs isn’t to high. As these builds are done with a script its much easier and less time consuming then building the packages manually. Once the openSUSE 13.1 release is out we will start pushing the alpha/beta packages into the X11:Enlightenment:Factory repo this will probably cause some disruptions for a couple of weeks and the packages in Factory will still be older then the packages in Nightly. My aim is to have the Factory repo stabilized for the e18 release. We will keep e17 around for a while (at least a year or two maybe longer) as there have been some changes that mean e18 doesn’t have all the features that e17 has the biggest change is the composting module has been moved into the core of enlightenment this is required for wayland will increase performance and will help better implement features and effects into the future, hopefully, over e19 and e20 the features that have been lost will be reimplemented in a less buggy way. The effected features are not core modules but are some of the extra modules that we ship including comp scale and engage, if you depend on these modules for your work flow you may want to stay with e17. There are some minor incompatibility’s in themes between e17 and e18, that hopefully we can get fixed reasonably soon. It is unlikely e19 will have the same level of breakage. There have been no breakages in compatibility in the enlightenment foundation libraries so we will only keep one version 1.8 in the Factory repo this will deliver performance improvements to e17 and will also give the advantage of a matching theme for efl based apps such as terminology and econnman. 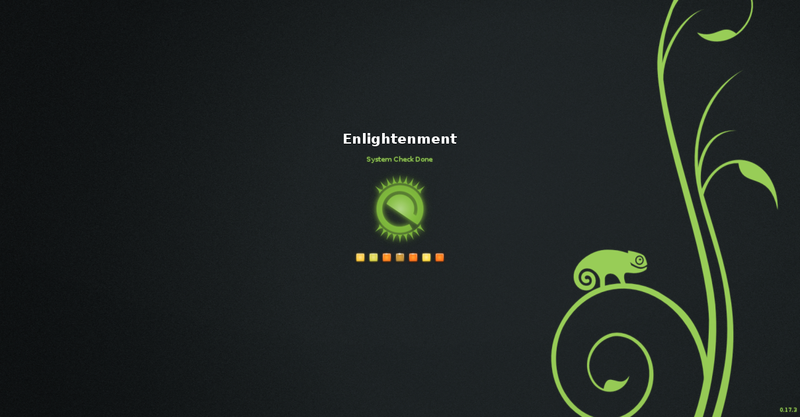 As e17 and e18 will both be in X11:Enlightenment:Factory and then in openSUSE 13.2 (hopefully) we will be adopting some new naming schemes e18 packages will be prefixed with Enlightenment as the enlightenment devs are planing on moving to time based releases and i don’t want to rename packages every 6 – 12 months. 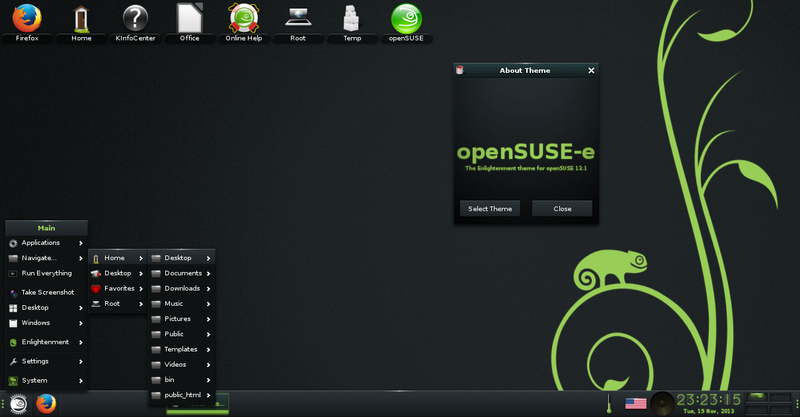 This will also mean that the existing Enlightenment package in openSUSE 13.1 will be renamed to e16 for openSUSE 13.2. Existing e17 packages in X11:Enlightenment:Factory that are prefixed with e will be renamed with e17. 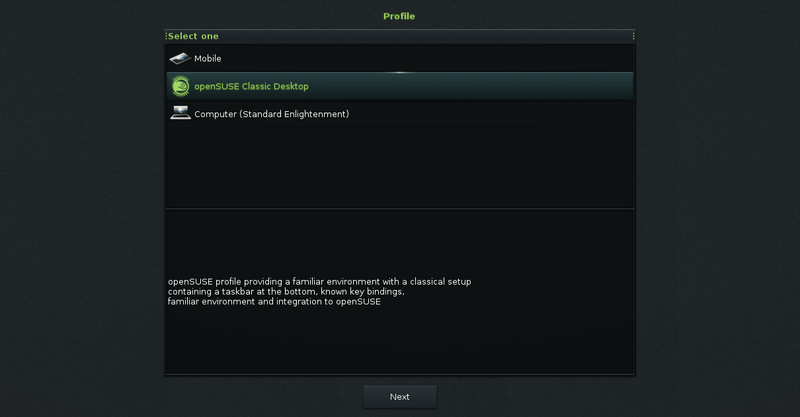 So in summary the Enlightenment based packages in openSUSE 13.2 will be something like: efl, terminology, Enlightenment, Enlightenment-Branding, Enlightenment-Profile-, Enlightenment-Themes-*, Enlightenment-Modules-*, e17,e17-Branding, e17-Profile-, e17-Themes-*, e17-Modules-* and e16. If you have questions or comments leave a comment or ask in #opensuse-e on freenode, i’m probably in a different timezone to you but hopefully ill see the msg and leave a answer. We will keep e17 around for a while as there have been some changes that mean e18 doesn’t have all the features that e17 has the biggest change is the composting module has been moved into the core of enlightenment this is required for wayland will increase performance and will help better implement features and effects into the future, hopefully, over e19 and e20 the features that have been lost will be reimplemented in a less buggy way. The effected features are not core modules but are some of the extra modules that we ship including comp scale and engage, if you depend on these modules for your work flow you may want to stay with e17. 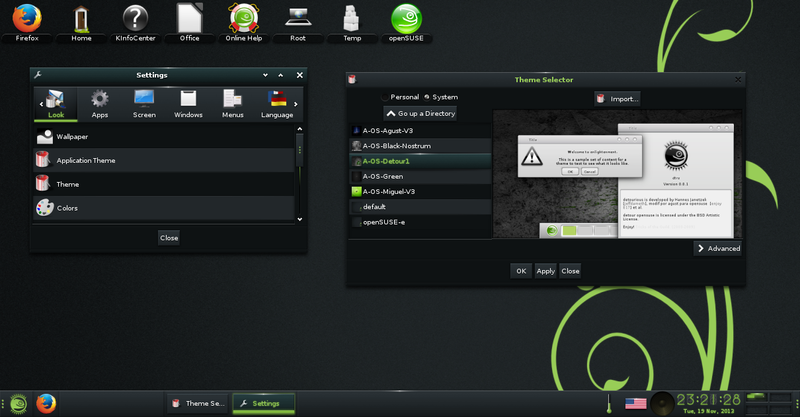 There are some minor incompatibility’s in themes between e17 and e18, that hopefully we can get fixed reasonably soon. It is unlikely e19 will have the same level of breakage.